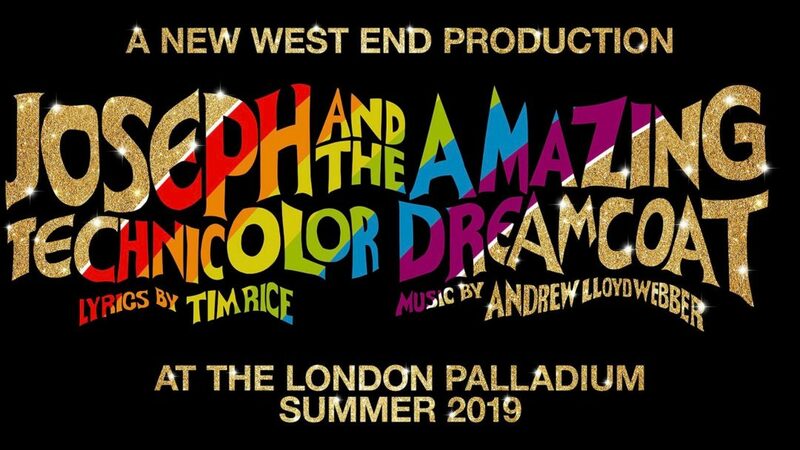 Joseph and the Amazing Technicolor Dreamcoat, the first major musical collaboration by Andrew Lloyd Webber and Tim Rice, is to be re-imagined in a brand new production at the iconic London Palladium next summer. Opening on Wednesday 26 June, the new production will have an entirely new creative team to be announced soon. Joseph and the Amazing Technicolor Dreamcoat will play a strictly limited 11 week summer season through until Sunday 8 September 2019. Told entirely through song, with the help of the Narrator, Joseph and the Amazing Technicolor Dreamcoat follows the story of Jacob’s favourite son Joseph and his eleven brothers. After being sold into slavery by the brothers, he ingratiates himself with Egyptian noble Potiphar, but ends up in jail after refusing the advances of Potiphar’s wife. While imprisoned, Joseph discovers his ability to interpret dreams, and he soon finds himself in front of the mighty but troubled showman, the Pharaoh. As Joseph strives to resolve Egypt’s famine, he becomes Pharaoh’s right-hand man and eventually reunites with his family. One of stages most sought-after roles, stars who have previously played the title character include Jason Donovan, Phillip Schofield, Lee Mead, Joe McElderry and Donny Osmond.